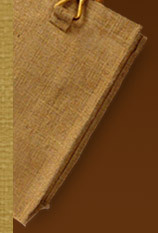 Jute is one of the oldest industry of India and has played a crucial role in its overall economic growth. Today, jute is used for making variegated products from clothing, fashion accessories, textile, yarn & fabrics to home decor & furnishings. Among these, the jute shoe racks are widely used in various homes, gurduwaras and other worship places for keeping the footwear in an organized way. Manufacturing these shoe racks is a tough task, it requires skilled craftsman and expertise of handling jute. 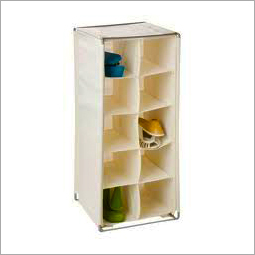 The jute made racks comes in artistic design to suit the dÃ©cor, wherever these are placed. Indian craftsman display their excellence and dedicated craftsmanship through beautifully designing the jute shoe racks. Jute is a biodegradable fiber and is extensively demanded throughout the world as everyone is aware of global warming threats and want to contribute towards environment protection. Jute Shoe Racks made up of jute can be availed easily in a plethora of designs, sizes, shapes and specifications as per the needs & space availability. There are variegated jute products manufacturers, who also provide jute shoe racks in accordance with the designs & specifications provided by the clients. Jute and its products started being developed in India from 1854, when the first mill was established at Kolkata, by a Britisher, George Aukland. At the end of 1860, Hoogly basin was the place, which became the center of jute mill industry in India. Before 1947 independence, India enjoyed a great monopoly in the jute and its products manufacturing in the world. But unfortunately indo-pak partition inflicted a severe blow to the jute industry by leaving only few jute mills in India, major part of jute producing area went over to Pakistan. Today, jute products are again highly demanded in India due to their attractive looks and having a amalgamation of traditional & western designs. India is leading the export market for jute made products including racks, furniture and clothing.